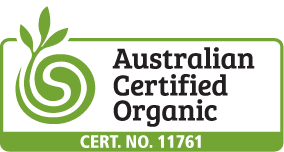 Propack to prepare 10m2 of soils for Autumn Planting. 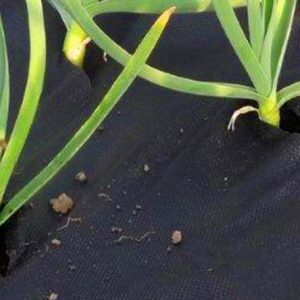 Great garlic needs great soils – abundant natural nutrient from organic source, on-demand feeding and plant growth hormones by soil microbes and pest and pathogen suppression by microbial controls. 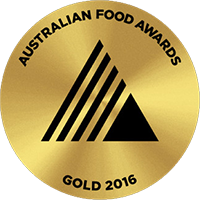 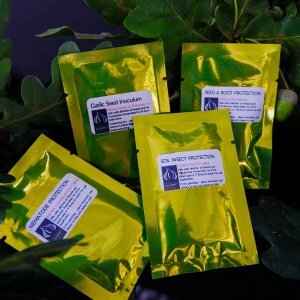 These are the same products I use to produce award winning garlic. 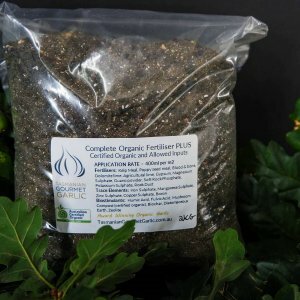 Incorporate BIOPro Complete Organic Fertiliser, Pathogen controls and an application of Beneficial Microbes in February, March and April prior to planting. 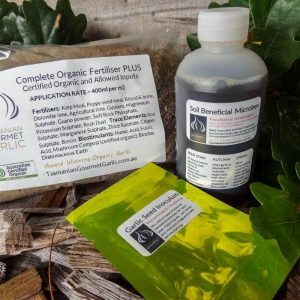 Apply 3 additional applications of Beneficial Microbes throughout Spring and Summer with some fish hydrolysate and 1/2 dose liquid seaweed product fortnightly after daytime temperatures exceed 16 degrees C.
Propack to prepare 10m2 of soils with only the best quality of organic and allowed inputs for an Autumn Planting. 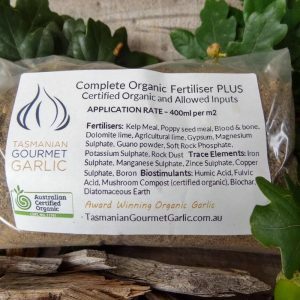 Combines the best approach to great garlic by enriching soils with natural, organic inputs and biostimulants. 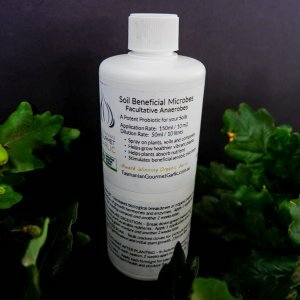 Enhancing nutrient availability and plant growth by beneficial microorganisms and protecting your plants from pests and pathogens by natural microbial controls. 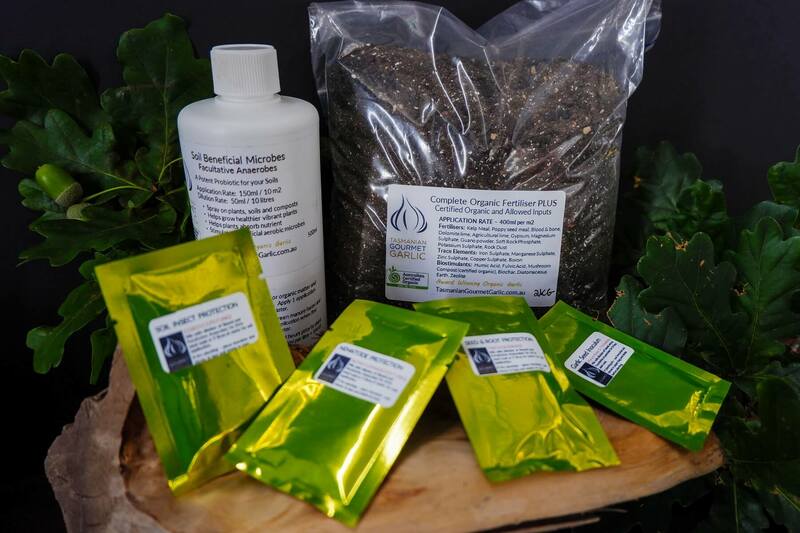 These are the same products I use to produce award winning garlic. Incorporate BIOPro Complete Organic Fertiliser, Pathogen controls and an application of Beneficial Microbes in February and again in March prior to planting. 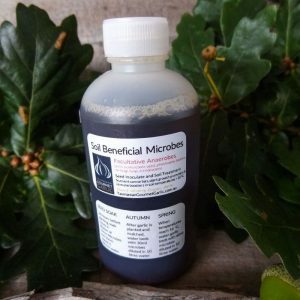 Apply 3 additional applications of Beneficial Microbes throughout Spring and Summer with some fish hydrolysate and 1/2 dose liquid seaweed product fortnightly after daytime temperatures exceed 16 degrees C.